Other Products by Body Science. Search other Amino Acids products. 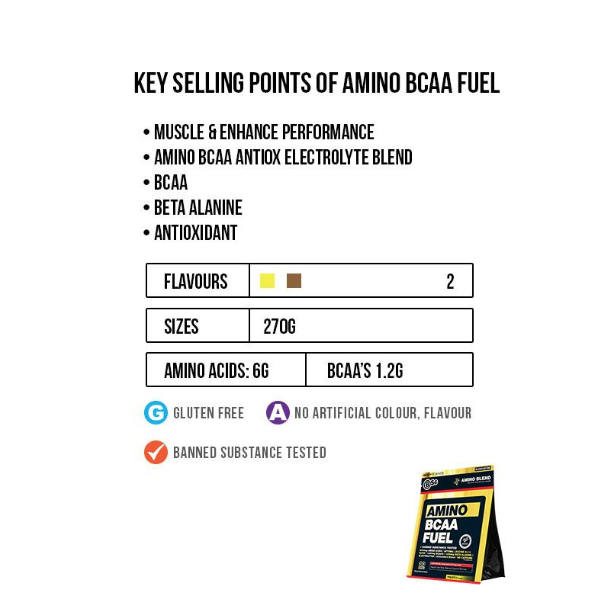 Body Science BSc Amino BCAA Fuel is jam packed with effective powerhouse amino acids and nutrients that we have come to expect from a top tier Sports and Lifestyle Nutrition Company. 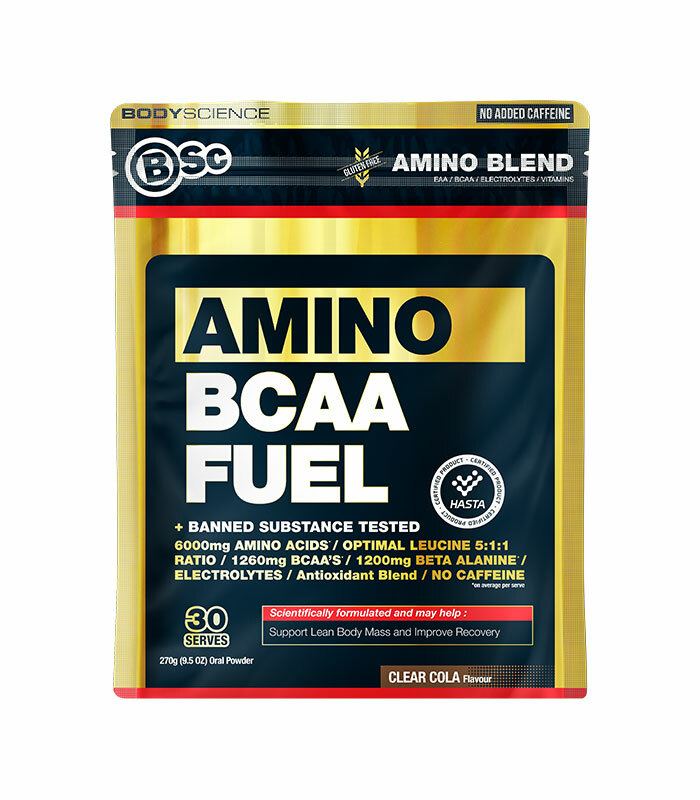 To sweeten the deal, Body Science BSc Amino BCAA Fuel is Gluten Free and Banned Substance Free. This is the ideal companion for training. Have the best training session you have ever had, every session. Knock down personal bests like bowling pins. Each serve of Body Science BSc Amino BCAA Fuel delivers not only replenishing electrolytes, to keep you hydrated and energised, but also amino acids, malic acid and the important cortisol-fighting nutrient vitamin C.
The Beta Alanine contained within Body Science BSc Amino BCAA Fuel delivers a Carnosine boost that enhances not only muscle cell protection, but also lactic acid buffering. In fact, Beta Alanine has been shown to increase skeletal muscle carnosine concentrations by 20-80%, depending on the individual1. Malic acid also another interesting nutrient, which is actually a constituent of the citric acid cycle (kreb's cycle). This is an intermediary stage of ATP or energy production. 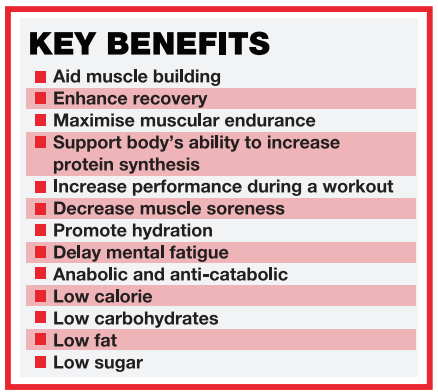 Furthermore, each serve of Body Science BSc Amino BCAA Fuel delivers a nice hit of Taurine, another amino acid that protects against oxidative stress during exercise, especially aerobic exercise2. 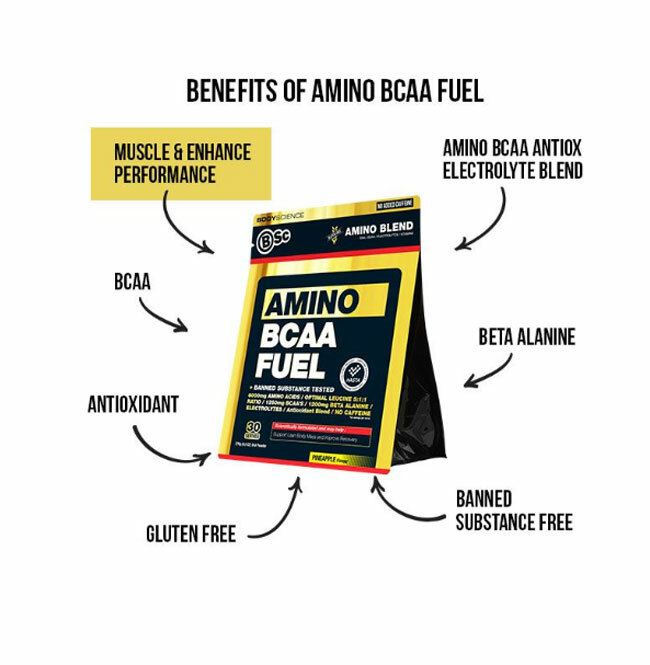 So now we have two muscle-protective amino acids, Beta Alanine and Taurine, as well as cortisol-lowering vitamin C.
Body Science BSc Amino BCAA Fuel has got your training covered, not only with performance, but also reducing soreness and protecting heard-earned muscles from damage. Mix 9g (1 Heaped Scoop) in 300-500ml of water and mix well. Sip throughout training session. INGREDIENTS: BSc Amino Blend (L-Glycine, Beta-Alanine, L-Taurine, L-Leucine, L-Arginine, Isoleucine, Valine, L-Glutamine), Citric Acid, Dextrin, Antural Cola Flavour, Sodium Chloride, Vitamin and Mineral Blend (Ascorbic Acid, Nicotinamide, Cyanocobalamin, Tricalcium phosphate, Magnesium Phosphate, Dipotassium Phosphate, Vitamin E, Ferrous Sulphate, Zinc Sulphate, Manganese Sulphate, Vitamin A Acetate, Copper Sulphate, Vitamin D, Pyridoxine Hydrochloride, Calcium Pantothentate, Riboflavin, Thiamin Hydrochloride, Chromium Chloride, Sodium Molybdate, Potassium Iodide, Folic Acid, Sodium Selenite, Biotin), Malic Acid, Sweetener (Sucralose), Potassium Citrate, Beetroot Powder. Contains Soybeans and their products.